Stately all brick 4 bedroom home on large tree lined corner lot. 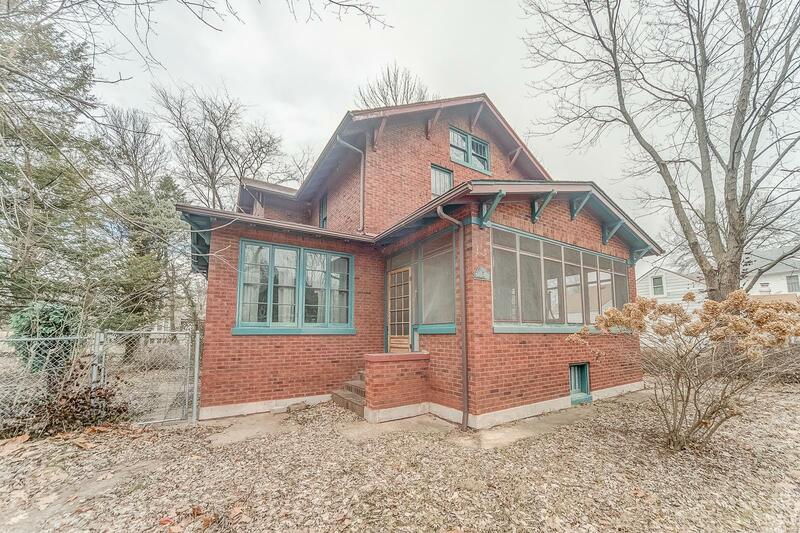 Need room for a large family and always wanted to own an older home here is your opportunity! This home has many features that will make you simply fall in love. Upon entering you will be amazed at the open flowing floor plan and spacious rooms. Cooks delight with ample cabinets, solid surface counter tops and an adorable little prep nook. Features: Large rooms, wood flooring, large windows, tall ceilings, two sets of french doors,stain glass windows,wooden staircase, wood burning fireplace, laundry chute and updated bath. Lower level offers a work shop and bath. Enjoy the seasons on one of three porches while relaxing. Some TLC needed on wood floors on upper level. Garage was converted into a workshop but could be converted back to a two car garage. Sold As Is However seller will bring up to occupancy code.